There are so many wonderful tutorials out there for bags and baskets and pin cushions and all sorts of fun things to make. But one of my favorites is this one from Pink Penguin. 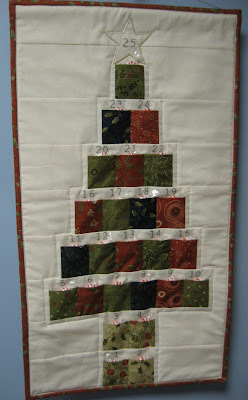 I made a few of them with my leftover fabric from the mystery quilt I did last year and I showed them HERE. This time I made some from the bright and cheerful fabric I purchased during my recent trip to Pennsylvania. Isn't that just the cutest thing you ever did see? It's very small, only about 3 by 6 inches at the bottom and it stands only about 4 inches high, not including the handles. For most projects where I use someone else's design, pattern or tutorial, I usually like to change it up in some way to make it different. But for this one, I do it just the way it says in the tutorial. Sometimes I will change the measurements a bit to make use of the materials I have on hand, such as the batting or an extra piece of fabric to use for the bottom of the bag or the handles. But for the most part, this one is great just the way it is. I have used these cute little fabric baskets as gifts, filled with nice things, and in fact this one will be filled with another handmade goodie and a few other things and be given as a gift as well. I just think there is nothing quite as nice as a handmade gift. Don't you agree? That basket it too cute! I've had that on my to sew list for some time now .... one day! Oh Mary Grace...that is the cutest little basket...you always find the neatest things to make! I sent this to my friend Donna, who sews! I love this pattern too and have made several for gifts. 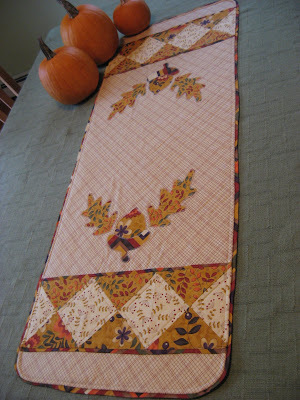 I love the fabrics you used in yours!